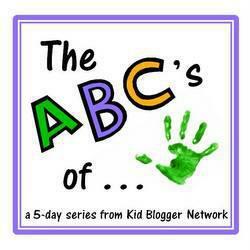 Ok I know I had to stretch the “K” for this one a little 😉 Normally I would say to follow your child’s lead but let me tell you, this ABC series was challenging! So what is it that I mean by follow your kid’s lead? 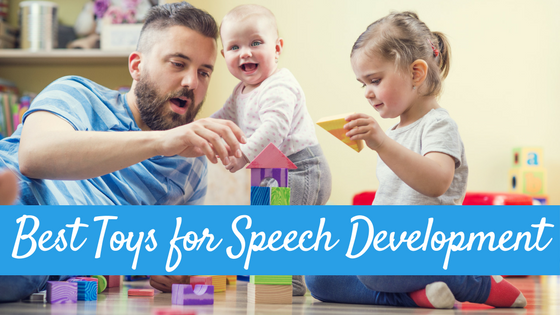 If you have a child who is struggling in the area of speech and language, especially for toddlers and preschoolers, it is best to get down on the floor with your child, play, and follow your child’s lead. This means, you allow your child to pick the activity (so it is highly motivating) and then you sit back and observe him and how he plays. Join in his play, imitate his actions, words, or verbalizations. Talk about what he is doing, but keep your speech short and simple. OBSERVE is a very important thing here. Watch your child carefully for what he is interested in. If he had chosen to play with his firetruck and is playing with the ladder but you are constantly commenting and playing with the doors…..you are not following his lead. If he is playing with the ladder talk about the ladder. Then if, a minute later he is now playing with the doors, then talk about the doors. Then when he leaves the fire truck to get the legos….it’s time to play with the legos! 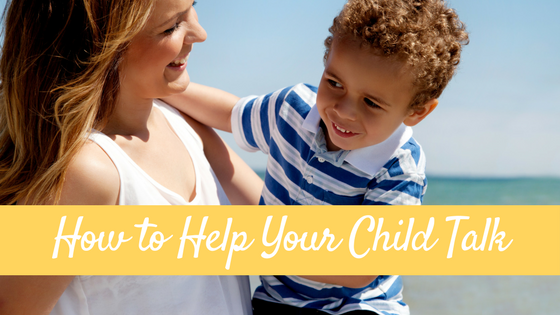 You can follow your child’s lead while in other interactions as well. If you take your child to the park, let him pick what he wants to play on (assuming it’s safe, of course!) and JOIN IN! Yes….you read that right…JOIN IN ON THE PLAY GROUND! Climb the toys, go down the slide….imitate your child and join in HIS play! During bath time, let your child pick the toys and follow his lead. 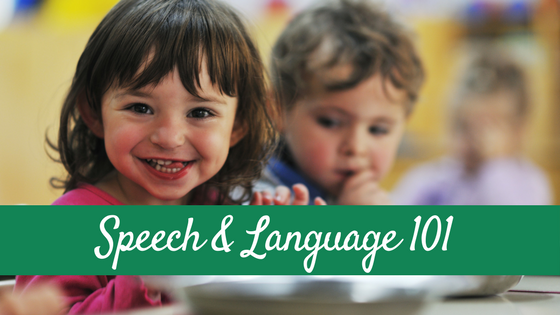 Did you know what speech and language are two very different things? And did you know that you can communicate without speech and you can have speech without communicating? While speech refers to the actual physical motor ability to produce the speech sounds in our language, language is a symbolic, rule governed system used to convey a message. Are you confused yet? 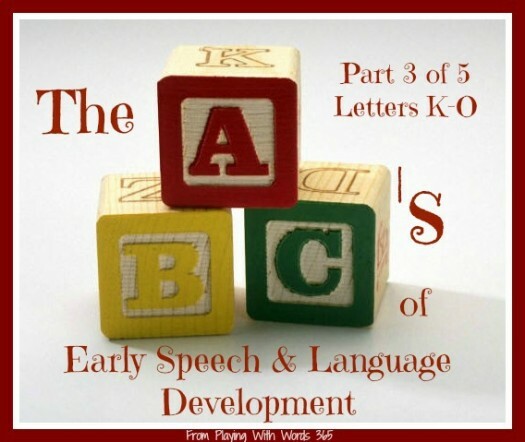 That’s ok…I wrote an entire post about this because it can be a little confusing and because I cannot stress enough how important it is to understand the difference, particularly if you are a parent of child who is struggling with speech, language and communication. 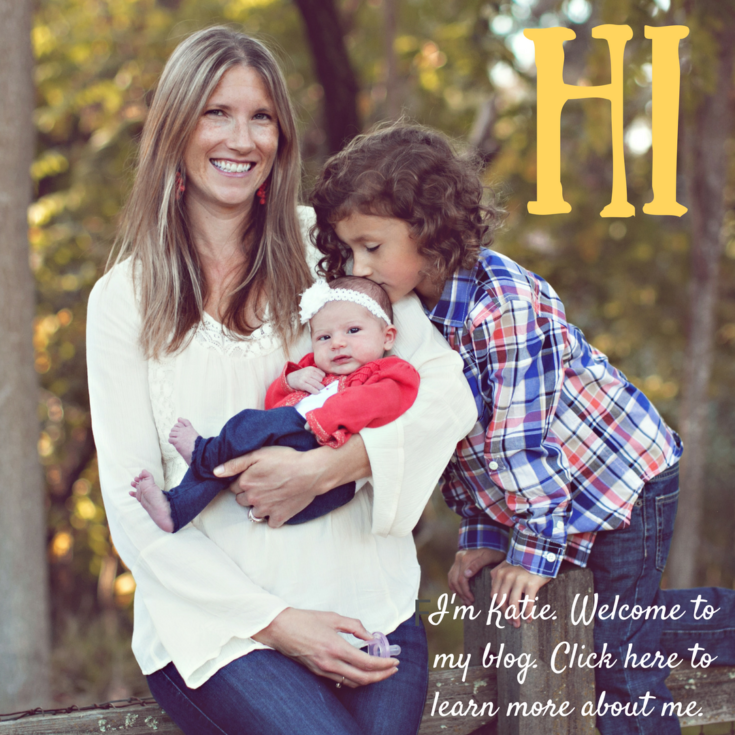 Head over to my post What Is the Difference Between Speech & Language to learn more. There are many different type of speech disorders (and since you just finished reading the difference between speech and language you now know what speech is, right?). The most common speech disorders are articulation and phonological. However there is another group of speech disorders that are not as common are motor speech disorders. You can learn more about Dysarthria HERE and you can learn more about Childhood Apraxia of Speech (CAS) HERE. You can also read my review of a fantastic book called Speaking Of Apraxia HERE. Children LOVE music! They love little nursery rhymes, songs, and simple finger-plays. These musical and rhyming activities tend to be highly motivating and engaging which allows for many opportunities for your children to learn and use language. In addition, these activities allow for many different turn taking opportunities, which again provide opportunities for language and communication. Pause & Wait: Pause the songs at key points to give your child the opportunity to fill in the blank. Make sure to WAIT for 5-10 seconds to allow your child time to think and speak. Use songs that involve movement! Ring around the Rosy, the Wheels on the Bus, and others involve MOVEMENT which can make the interaction more meaningful, fun, multi sensory and interactive. Make up your own songs! Make up silly songs that are based around your child and HIS/HER interests! I have a little tickle song that I made up for my daughter when she was an infant that she STILL loves at age 4, and I also made up a little song to teach my children their full names that I share HERE. Kids LOVE songs that are all about them! When you finish a song/music activity, wait for your child to communicate that he want more. 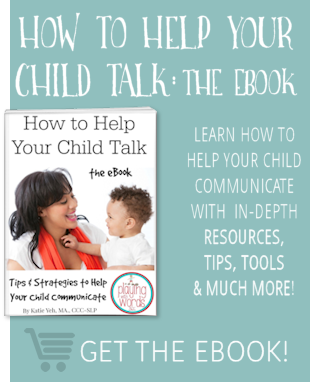 Depending on your child’s level of communication this could be a simple kick of the legs, a smile and a squeal, a sign for “more” or other gestures, or words. Watch your child closely for his cues, especially if he is not yet verbal. What is open ended play? Open ended play are activities that can be used in various ways and that have no specific end point or time frame. In contrast, activities that have a closed end include things like crafts (where there is a specific end when you finish the craft), board games (that end when there is a winner), and different sports games (again, an end when there is a winner or when the time is up). 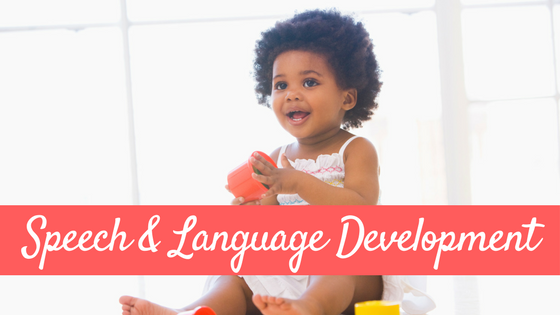 Why are open ended play activities important for speech and language development? Because these types of activities really allow your child to take lead in his own learning! Remember earlier when I talked all about how important it is to follow your child’s lead? Now that we know how important it is to follow our child’s lead, we need to provide activities that allow him to lead! Also, it is a good idea to mix in some activities that are not open ended as well. For example I also just got done explaining how important songs and fingerplays are for speech and language development..and those are more close ended activities. Using a good balance between open and closed ended activities will give your child many opportunities to learn and use language in many different ways.